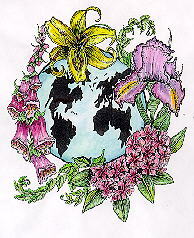 Globeflowers. Great perennials for early spring, between the spring bulbs and summer perennials. Some call them "post daffodil depression perennials". Get familiar with cultivars (cultivated varieties) matching the description with the name. Keep in mind heights may vary with specific sites, climates, and conditions. Answers follow.